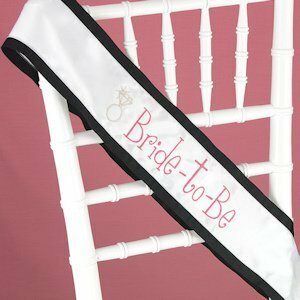 Anyone seeing the happy young woman wearing this sash is sure to know she's about to be married. 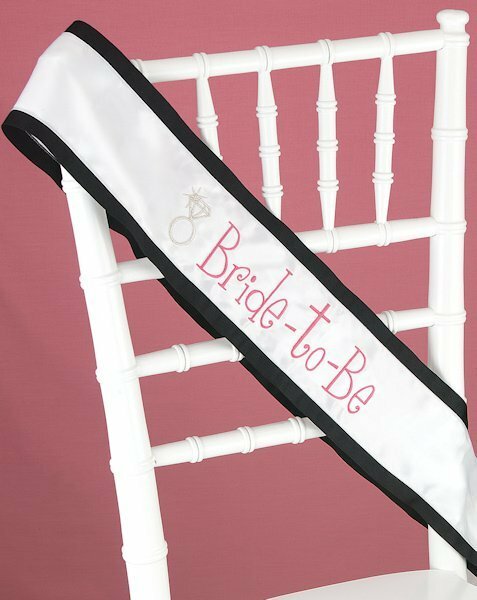 She'll proudly wear this sash out for her bachelorette party, or for her bridal shower. This great design features a 3" wide white satin strip with "Bride-to-Be" embroidered down the middle in hot pink thread, along with an embroidered silver engagement ring. The edges are trimmed in 5/8" wide black grosgrain ribbon. Sash measure 35" (folded) x 4".